All the drugs are first tested on animals for their safety and efficacy as well before they enter the market. But sometimes, the adverse effects of some medicines are noticeable only when they are used by the general population. Thus, it is the leading factor behind withdrawn from a class of drugs by WHO or world health organization. It not only restricted the distribution and marketing but also manufacturing of such medicines. Some drugs caused unexpected adverse effects and created lots of risks to your health. Further, the reason was the higher expansion of producing drugs still it was not beneficial and less demanding. 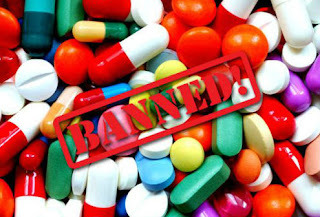 Here is a list of medicines ban by WHO in last ten years. 1. Efalizumab or Raptiva was made to deal with plaque psoriasis such as slivery and raised flaking of the skin. But, it was associated with the increased risk of progressive multifocal Leuko-encephalopathy. As a result, WHO entirely banned it by June 2009. 2. Ozogamicin purposed to target specific ALL or acute lymphocytic leukemia. It not only damaged patient’s liver but also caused von-occlusive disease in which blockage of blood vessels takes place. It had a significant risk of death. Its side effects were comparably more than its health benefits. Thus, it withdrew from the market by 2010. 3. Propoxyphene used to treat mild to moderate narcotic discomfort. It impaired your behavior, thoughts, and thinking instead of relieving your pain and discomfort. Majority of the patients experienced the heart attack and trapped by stroke efficaciously. Its jaundice reaction also contributed to the restriction of this drug. 4. Drotrecogin Alfa banned entirely by 2012. It was known to work against multi-system organ failure. Like other drugs, Drotrecogin Alfa was not withdrawn because of toxicity. The reason behind the restriction of this medicine is just the lack of efficacy. It often caused severe bleeding and several serious allergic reactions too. 5. Lumiracoxib was evaluated and found that this drug caused severe side effects. It mainly damaged the liver to a great extent. Thus, WHO progressively withdrawn from all over the world in 2007-2008. 6. Rimonabant was designed to root out obesity and helped to get a fit body as well. But, it countered you lots of side effects instead of favorable impacts. It promoted the risk of severe depression, and countless patients that were using this drug opted suicides. Therefore, WHO prohibited its marketing as well as manufacturing globally. 7. Sibutramine was assisted with the improvement in blood lipids and overweight. It always asked for strict cautions to use it. Due to the hazardous progressing risk of heart attack, psychosis, abnormal liver, nervousness, flu-like syndrome, and stroke, WHO discontinued this medicine. 8. Tetrazepam prescribed for the stiff-man syndrome, involuntary writhing movements, spasticity, and muscles spasms. Also, it widely used for withdrawal of severe alcohol concerns. Later, it noticed that it resulted in severe cutaneous reactions and banned in 2013 by WHO. 9. Sitaxentan was for those are suffering from PAH or pulmonary arterial hypertension especially in adults. It was said that it could encourage exercise capacity. But, soon it reflected its dangerous effects. WHO control over this medicine because most of the adults caught by hepatotoxicity. Besides, it made its users feel dizziness and headache all the time. 10. Tegaserod was used to deal with a kind of constipation in men and women and mitigate the bloating, pain and IBS symptoms to a great extent. But, it perceived to face the imbalance of cardiovascular ischemic events, heart attack, and stroke. Due to such factors, WHO restricted the use of this medicine worldwide. Using painkillers in knee pain? How Liv52DS differ from Liv52?